Pretzels and Combos. Two favorite snack types, one great place to get them all. Individually sealed for freshness in perfect snack size portions. 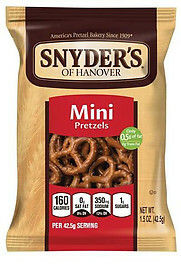 Perfect for at work consumption or snacking on the go.